A common problem in previous versions of ActiveMQ was running out of RAM buffer when using non-persistent messaging. 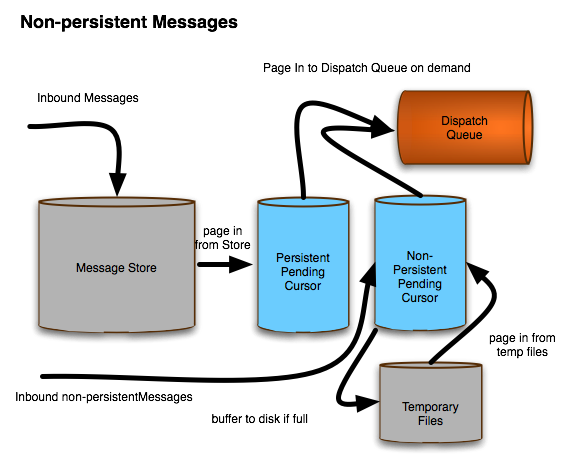 Beginning with ActiveMQ 5.0.0, there is a new memory model that allows messages to be paged in from storage when space is available (using Store cursors for persistent messages). 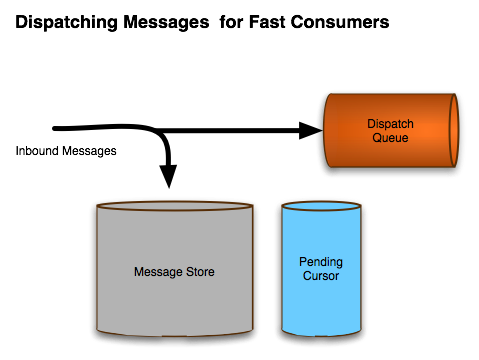 Releases prior to 5.0 kept references in memory for all the messages that could be dispatched to an active Durable Topic Consumer or a Queue. While a reference itself is not large, it does impose a limit on the maximum number of messages that can be pending delivery. 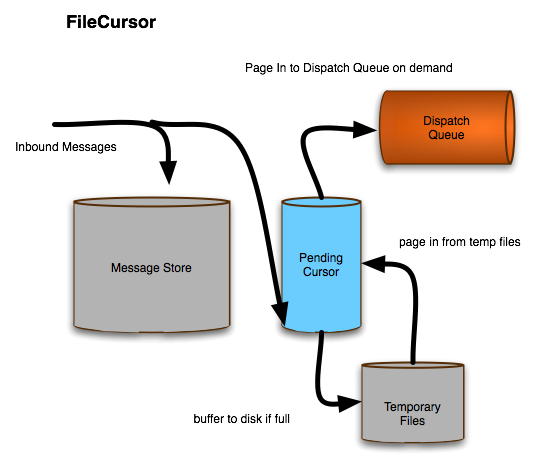 ActiveMQ 5.0 takes a hybrid approach, allowing messages to pass from producer to consumer directly (after the messages have been persisted), but switches back to using cursors if the consumer(s) fall behind. The default message cursor type in ActiveMQ 5.0 is Store based. It behaves as above. There are two additional types of cursor that could be used: VM Cursor and File based Cursor, described below. By default, Store based cursors are used, but it is possible to configure different cursors depending on the destination. Valid Subscriber types are vmCursor and fileCursor. The default is the store based cursor.